Here we go! This is the last in the 12 blocks that create this quilt top. Next time, I’ll show you the final assembly. If you didn’t already get a glimpse of it from Isabel’s picture last time. The LARGE version is assembled slightly different, however. We’ll see if I can’t get to it tomorrow. I am taking the boys to a function at the library at 9:30 so maybe I can finish it before then. Or after. Draw a diagonal line on (5) White 3 7/8″ x 3 7/8″ and (1) Red #1 3 7/8″ x 3 7/8″. Create (6) Red #2/White HSTs using (3) Red #2 3 7/8″ x 3 7/8″ and (3) White 3 7/8″ x 3 7/8″. 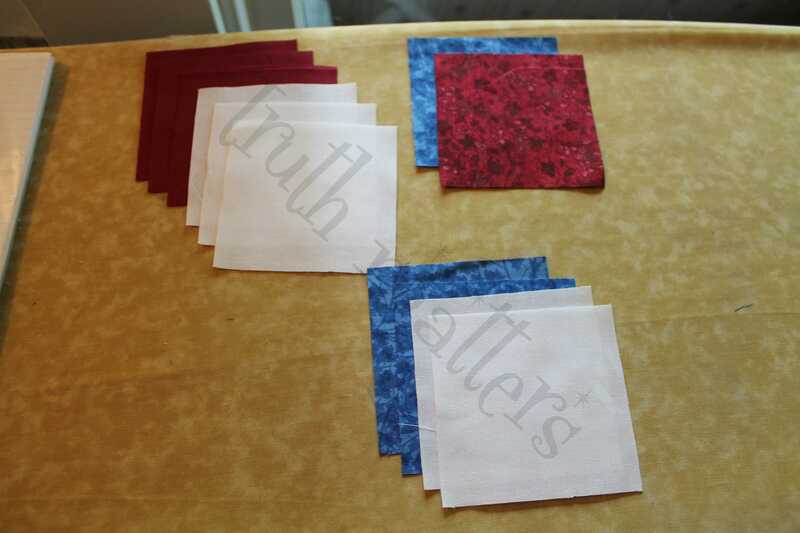 Create (2) Red #1/Blue HSTs using (1) Red #1 3 7/8″ x 3 7/8″ and (1) Blue 3 7/8″ x 3 7/8″. 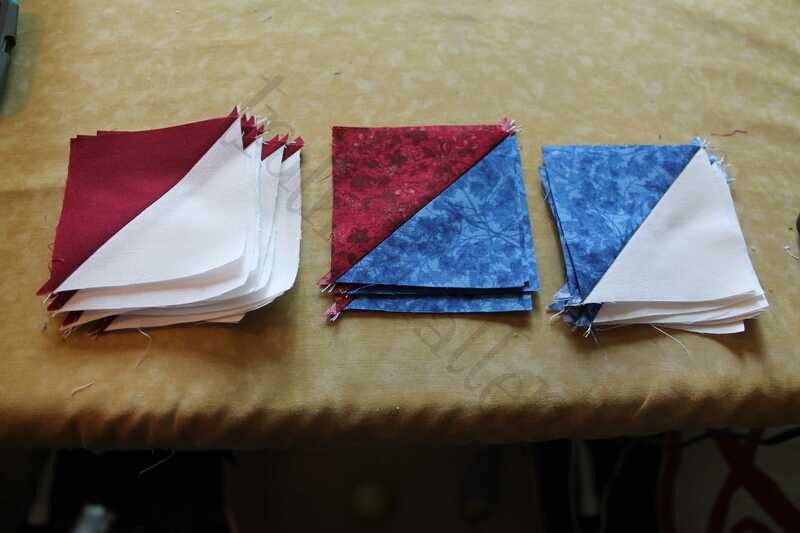 Create (4) Blue/White HSTs using (2) Blue 3 7/8″ x 3 7/8″ and (2) White 3 7/8″ x 3 7/8″. Add in the (4) White 3 1/2″ x 3 1/2″ squares and assemble. 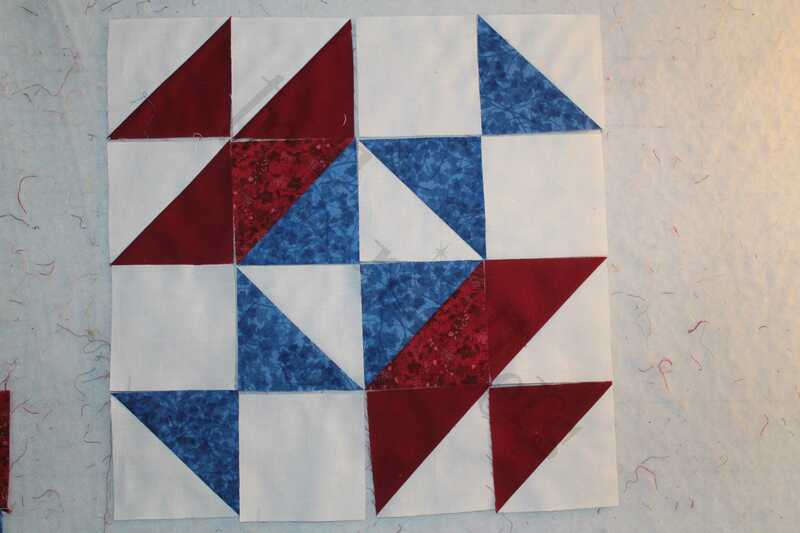 I have included a picture of the center so you can see how the (2) Red #1/Blue squares will be placed. We are done creating the blocks! What do you think? 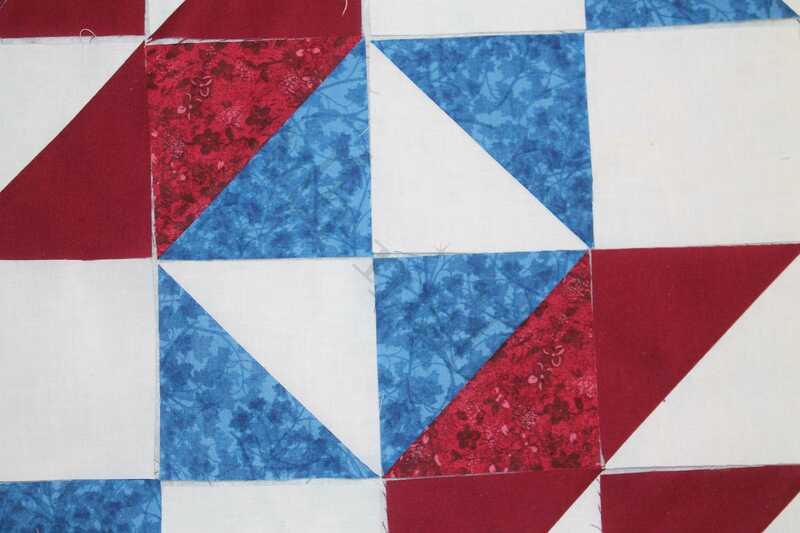 Did you find any blocks that you absolutely love and need to include in a future quilt? Or, design an entire quilt around those stars? Well, we will assemble next time and finish this up! 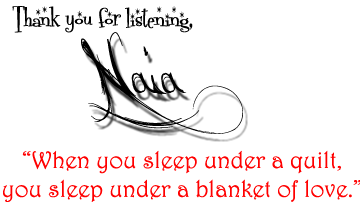 I hope you enjoyed it – even with my family distractions.